We are offering L Shape Type Stamp to our client. We are offering wide gamut of Steel Stamps to our clients. Product Description : • Made from high quality tested carbon steel. • Special material and double induction hardening give very high quality of stamping. • Head is tempered to prevent chipping while hammering. For hand held, hammer struck applications. GROZ, Letter and Number Stamps are manufactured from select quality carbon steel. Punches are through induction hardened, which gives durability and extended life for repeated use. The hardness at the stamping end is maintained at 58-62 HRC, the striking end is tempered to 35-42 HRC. Our organization is recognized among the recognized organizations, involved in supplying and exporting a best quality range of Steel Stamp. These stamp are made from large-scale calligraphy drawing and capable of absorbing every minute detail of any logo. These are customized. We are leading Manufacturer And Supplier Of Steel Stamps . With an objective to fulfill the ever-evolving demands of our clients, we are engaged in offering a wide assortment of Logo Steel Stamp. By making use of qualitative raw material and latest technology, we are offering our clients with steel stamps of size 12 X 20 X 30 mm. 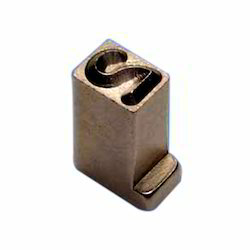 These steel stamps are provided with alphabetical or numerical letter on the face, which is of the 9 X 16 mm dimensions. 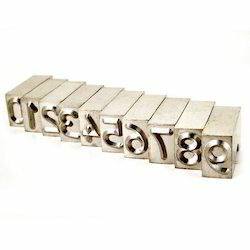 These steel stamps have a letter depth of 1.5 mm and are offered to our clients at highly competitive prices.